" Vara " means Blessing and Lakshmi devatha gives all blessings to those who doing this poojai with powerful devotion. This poojai is specially conducted by married women. 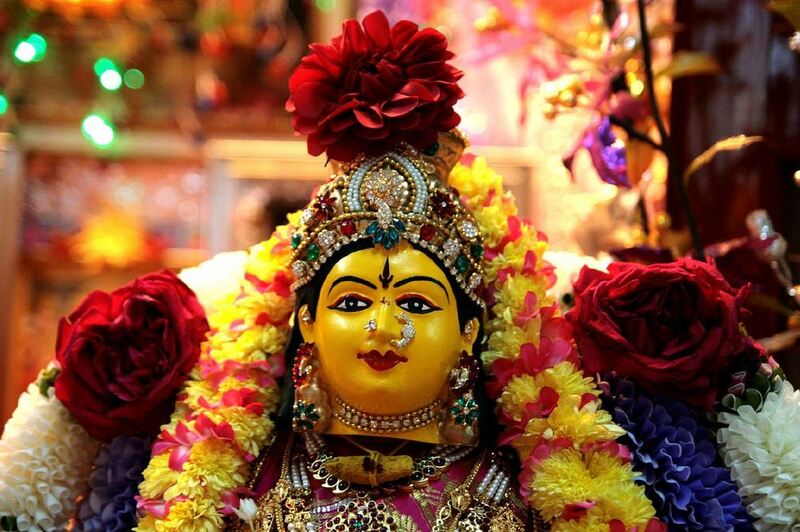 This pooja is done to get all blessings from lakshmi devatha for the protection of her husband. This Pooja is done to get blessing from Vara lakshmi devatha followed by the chorus sounds of chanting mantras of lakshmi and then the function is performing by offering Lotus flowers to Lord Agni.